Quality rustic looking leather-look​ fabric. Tight intricate embroidery flawless and sharp edged. 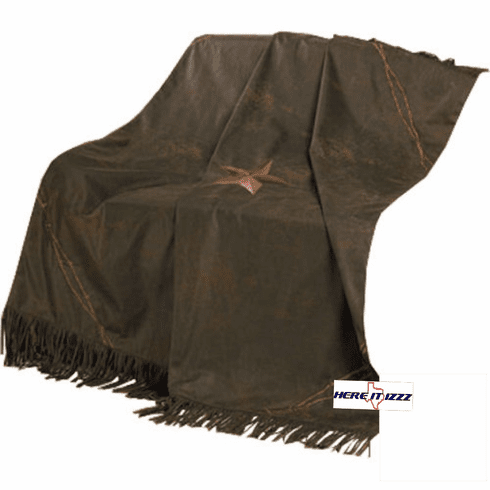 Our Western Triple Star throw blanket looks good combined with the bedding set or alone. Barb wire trim at the corners huge Western Star in broidered in the center.